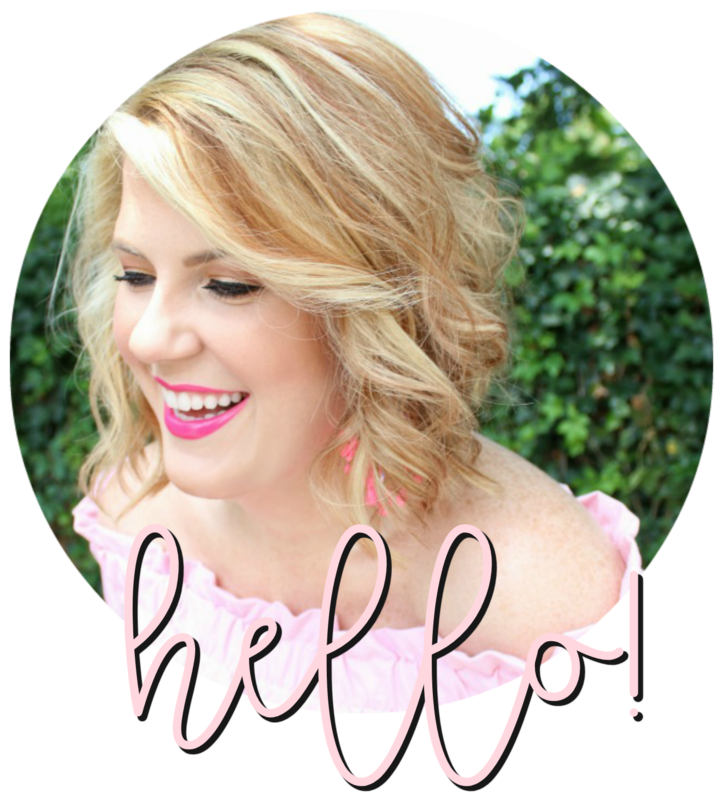 If you've been reading this blog or following on instagram any length of time you know how much I love holiday decorations - and fall may very well be my favorite! In the past I've stuck with traditional colors. This year, however, I'm feeling a bit adventurous - especially after my spring spruce up and newly painted pink wall. Aren't the ideas above fantastic?! I'm already envisioning a collection of painted pumpkins on my hearth and dining table in just a few weeks. My apologies if you're annoyed with all the "fall" talk around here lately - I figure it's better to bring you inspiration now so you can be prepping, too?? As always, thank you all for reading and stopping by - it means so much! Happy weekend, friends! 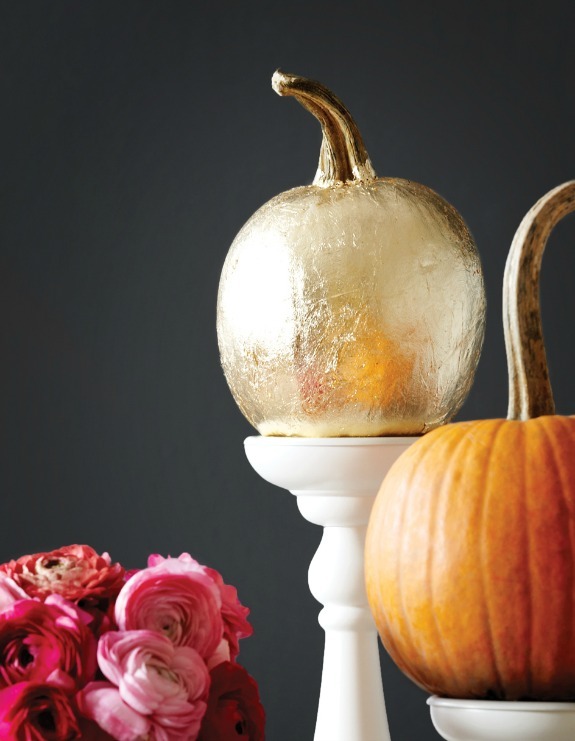 I love the gold leaf pumpkin! I love these pumpkins!! Such a beautiful twist on a fall favorite. :) Happy weekend, Julie! And now I want to gold foil a pumpkin! 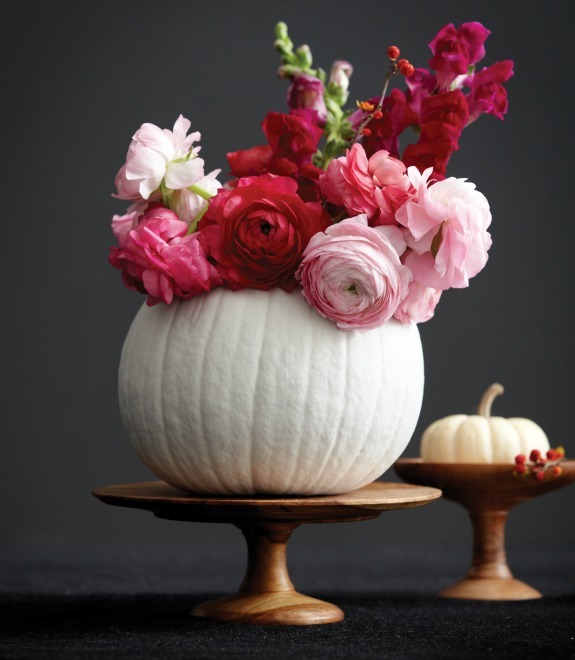 Who knew solid pumpkins could be so chic!? Oh! What a wonderful idea! I've been wanting to have a pie party and I think these would be perfect decorations for it! A wonderful share, thank you! I love all these pumpkins! 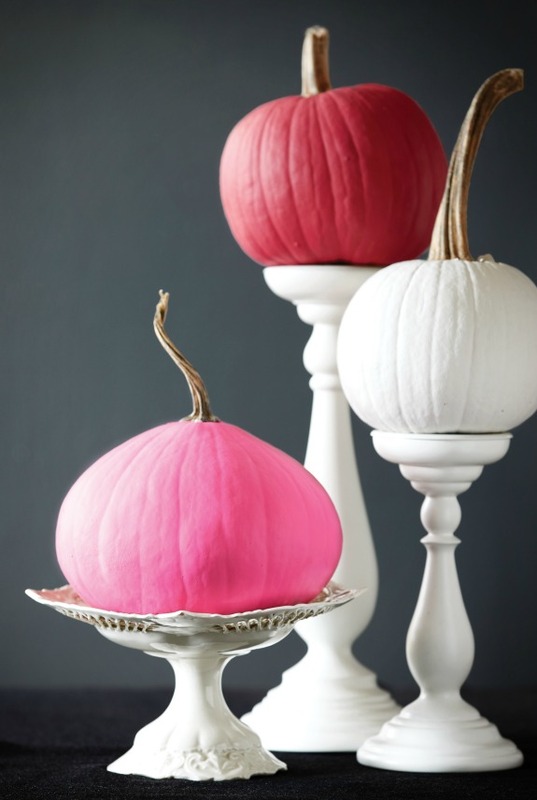 Such a fun and colorful twist on pumpkin decorating! These are so adorable! I love the gold ones. i'm already in fall mode too. 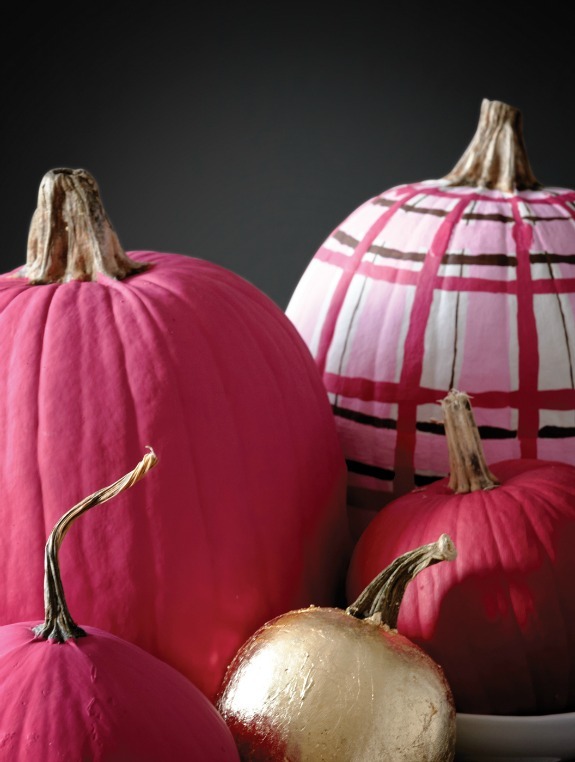 OBSESSED with the painted pumpkins. i did a monogram one a few years ago + love how it turned out! I'm loving unique holiday decorations at the moment! My fiance just blew a glass pumpkin for me and I'm so excited to display it for Halloween!